Wendy’s success as one of the biggest hamburger fast food restaurant chains in the world is based on its ability to address the concerns shown in this PESTEL/PESTLE analysis. The PESTEL/PESTLE analysis identifies the most notable external factors in Wendy’s remote or macro-environment. These factors threaten or create opportunities for the company. Wendy’s must include them in strategy formulation to ensure long-term competence. Managers and investors can use the results of the PESTEL/PESTLE analysis to determine Wendy’s potential and capabilities based on the conditions of the remote or macro-environment. Wendy’s effectively addresses most of the external factors indicated in this PESTEL/PESTLE analysis. However, the business must improve its aggressiveness for innovation and expansion to counteract the threats in its remote or macro-environment. Wendy’s has the opportunity to internationally expand based on the economic benefits of increasing integration and alliances among countries. In addition, the stable political conditions in major markets present minimal barriers and challenges for Wendy’s to grow its business. However, the company must address the EU’s strong position against GMO ingredients, which are usually found in fast food. In this aspect of the PESTEL/PESTLE analysis, Wendy’s should consider expanding, while improving its products to counteract the effects of government intervention on GMOs. The external factor of increasing disposable income presents opportunities for Wendy’s to expand in developing countries. Also, the company can expect stable performance in major markets. However, China’s declining economic growth rate could reduce Wendy’s potential global growth, despite the company’s plans to expand in the Chinese market. Based on this aspect of the PESTEL/PESTLE analysis, the economic external factors emphasize Wendy’s opportunities for global growth and expansion. The increasing emphasis on quality is an external factor that creates opportunities for Wendy’s to improve product quality to attract and retain customers. Also, the busy lifestyles of people in town centers and city centers increase demand for convenient fast food. This condition presents the opportunity for Wendy’s to grow in such areas. However, higher health consciousness could dampen demand. Nonetheless, the company can address such threat by further improving product quality. This aspect of the PESTEL/PESTLE analysis shows that Wendy’s can improve its business performance based on the effects of sociocultural external factors. Based on increasing business automation, Wendy’s has the opportunity to implement optimal automation of its processes to support economies of scale. Also, the company can increase its competitiveness by surpassing other companies’ research and development (R&D) investment levels. Wendy’s has the opportunity to improve its online/mobile presence to reach more customers through their mobile devices. In this aspect of the PESTEL/PESTLE analysis, the technological external factors present significant opportunities for Wendy’s to improve business competence. Wendy’s can enhance its brand image by improving its sustainability standing. In relation, the company has the opportunity to reduce carbon emissions through efficiency, so as to attract consumers who are conscious about their carbon footprint. 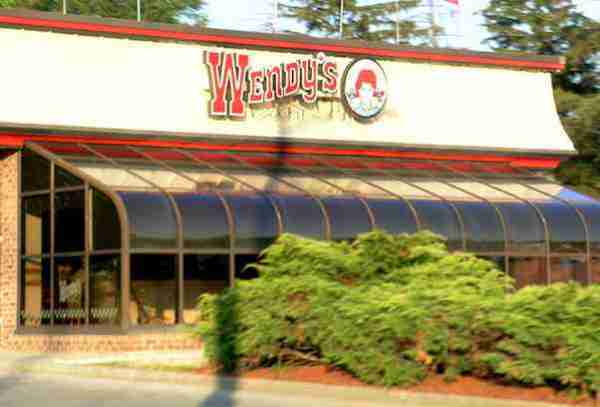 However, Wendy’s faces the threat of climate change, which could disrupt the company’s supply chain. This aspect of the PESTEL/PESTLE analysis indicates that the ecological external factors present threats and opportunities that affect Wendy’s long-term viability. Increasing food safety regulations are a threat if Wendy’s does not respond accordingly. However, this external factor also presents the opportunity for the company to improve its product quality, such as through innovation. In relation, Wendy’s must respond to the threat of new and tighter regulations on GMO ingredients, especially in the European Union. On the other hand, the increasing support for unions in developing countries threatens Wendy’s leverage for rapid growth in these markets. In the legal aspect of the PESTEL/PESTLE analysis, the external factors threaten Wendy’s business. The external factors in Wendy’s remote or macro-environment present a variety of threats and opportunities. However, the company must prioritize the most significant and urgent issues. The primary recommendation is for Wendy’s to focus on product improvement to address issues related to GMO regulation, consumers’ health consciousness, and product safety. Also, Wendy’s must implement a more aggressive global expansion strategy to benefit from the rapid economic growth of developing countries. In addition, international supply chain diversification can improve Wendy’s resilience despite the threat of climate change. Roper, K. (2012, November). BIM Implementation: PESTEL Drivers & Barriers (Cross-national Analysis). In World Workplace 2012. IFMA. The Wendy’s Company (2015). Wendy’s Global Growth Vision. The Wendy’s Company, Form 10-K, 2013-2014. Wendy’s International, LLC, Form 424B3, 2001.